We’ve heard from people all across the globe who are using Where Are Your Keys? in a variety of ways: in their communities, their classrooms, and their own efforts to learn another language. Some are people we’ve met and worked with during WAYK workshops, while others have scoured the web to learn as much as they can about WAYK before trying it out. 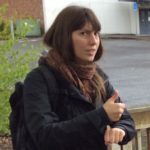 Many of these people have reported back to us, detailing their experiences and experiments, and we love to be able to post these reports on the blog. If you’re working with WAYK in your community, we’d love to hear from you too! Click here to find out how to submit a blog post about your WAYK experiences. Bobbi Dushkin was born and raised in Alaska. She grew up in a commerical fishing family in Sand Point, a community where the Eastern dialect of Unangam Tunuu was spoken. 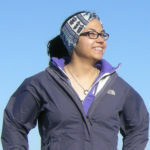 Bobbi now lives in Anchorage and joined the WAYK team as APIA's regional intern for the 2016 Summer Intensive in Atka, Alaska to work with the Atkan dialect of her heritage language, Niiĝuĝim Tunuu. Read Bobbi's intro post here. Caylie discovered WAYK through an indigenous language spreecast, and accidentally stumbled into some private Chinuk Wawa lessons with Evan in Oregon as a result. She joined the Tsleil-Waututh WAYK team for 10 days in late July and early August 2014. She is currently back in school in Victoria, but stays involved with WAYK by providing the team with much-needed tech support and guidance. Read Caylie's guest posts here and here. Kay is an English as a Second Language (ESL) teacher from Chicago with a Master’s degree in linguistics. She first became interested in language when she stumbled upon bilingual editions of Pablo Neruda’s and Federico Garcia Lorca’s poetry. She became interested in indigenous languages and language revitalization through the poetry of Ofelia Zepeda (Tohono O’odham) and the works of Leslie Marmon Silko (Laguna Pueblo). Kay found out about Where Are Your Keys? in 2014 when some furious googling about language revitalization internships landed her on the advert for their summer intensive at Tsleil-Waututh. She remained in contact with WAYK over the next few years until 2017, when she got the chance to be a volunteer assistant at series of two weekend introductory workshops. Kay traces her ancestry to County Sligo in Ireland; she is also a member of the Stewart clan of Scotland. Her partner is Filipino. Her goal is to get fluent in Tagalog; once she has achieved that, her goal is to become fluent in Irish Gaelic and Scottish Gaelic (which are mutually unintelligible) and to become actively involved in those languages’ revitalization efforts. 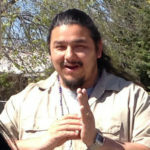 Danny YellowFeather Manning lives in Greenville, California. He is learning Mountain Maidu (Tosajdom) from Wilhelmina Ives, one of the last Maidu speakers, at Greenville Rancheria and teaching Maidu for the language program at Susanville Indian Rancheria. Read Danny's guest post here. Anna Melovidov lives on St. Paul Island, Alaska. She is learning her language, Unangam Tunuu, and has been working with WAYK since 2012 as an integral part of the local Unangam Tunuu core team. She is currently an elementary school teacher in the St. Paul School, where she also teaches Unangax̂ language and culture. Eric is a high school Latin teacher and WAYK player from Erie, Pennsylvania. After growing frustrated with the standard grammar-translation method of teaching Latin, Eric discovered WAYK in the fall of 2013. It was a shocking moment, to say the least, to realize that learning a language could be fun and engaging, rather than difficult drudgery. After learning from Evan, Susanna, Sky, and other WAYK enthusiasts at SALVI’s Pedagogy Rusticatio in the summer of 2014, Eric began implementing WAYK into his curriculum. Read Eric's guest post here. Follow Eric on Twitter here. 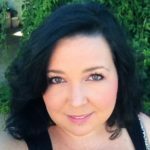 Christina grew up in the beautiful San Juan Islands of Washington State, and though she considers these islands home, she has lived all up and down the west coast, including parts of Alaska, Oregon, and California. 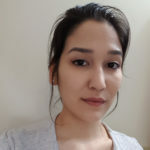 Christina became interested in language revitalization in the fall of 2013 when she learned that her heritage community in Alaska was working with Evan to revitalize their language: Unangam Tunuu. Christina participated in the 2015 Unangam Tunuu Summer Language Intensive. Read Christina's guest posts here and here. Jason Slanga taught Latin in Baltimore County Public Schools for eleven years. During that time he co-wrote a district wide Latin curriculum, promoting target language instruction and modern language best practices, and provided professional development for other Latin teachers in the district. He has served on the boards of SALVI (The North American Institute for Living Latin Studies), and the Maryland Foreign Language Association. 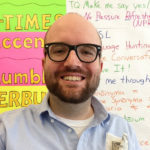 Since 2009, Jason has been on staff at various Latin immersion events, and was a co-facilitator for SALVI’s Pedagogy Rusticatio: Where Are Your Keys? He has presented at a number of professional conferences, helping teachers develop student driven instruction. In addition to speaking Latin and Spanish, he has also worked on Chinuk Wawa and American Sign Language. Read Jason's posts here and here. Follow Jason on Twitter and Instagram, and check out the "Quomodo Dicitur?" Latin podcast he co-hosts here. A linguist resident in Turkey, Joel discovered Where Are Your Keys? purely by accident and was immediately impressed by its common-sensical approach to language learning. After so many observations made, misconceptions identified and pitfalls avoided through years of toil and tears, it was as if all this understanding had been distilled into a natural, dynamic and effective method. The necessities of language revitalisation had been the mother of invention, turning the classroom dynamic upside down to put the student back in the driving seat. Read Joel's guest post here. 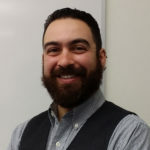 Kyle is a WAYK player and Lingít learner and teacher who holds weekly community language classes using WAYK at the University of Alaska Anchorage. Read Kyle's guest post here. Jenni is a WAYK player who is living in Israel and learning Hebrew. 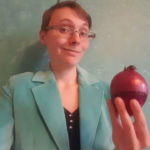 Read Jenni's guest post here.